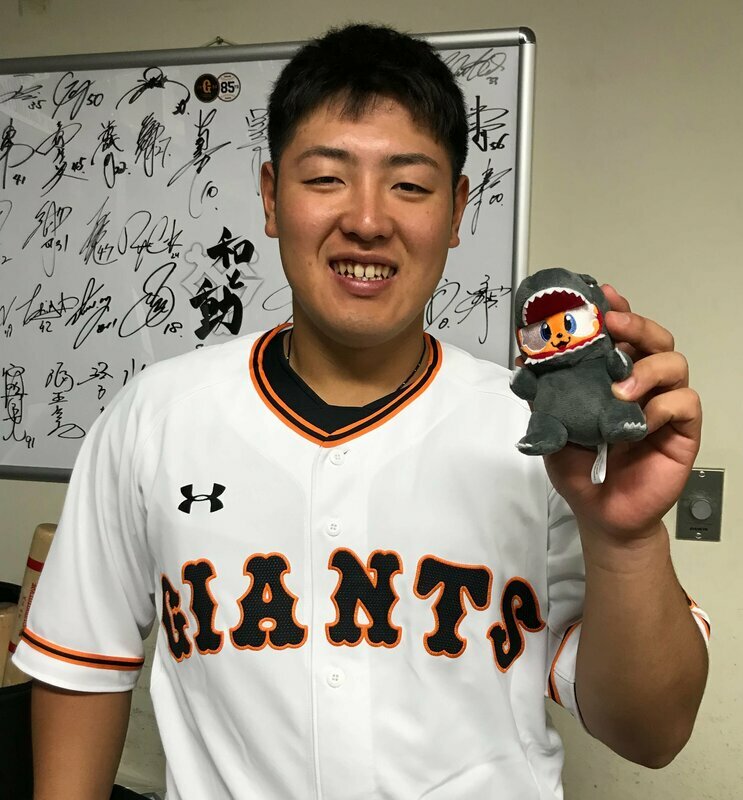 The Yomiuri Giants Baseball Team has a special event planned for May 14th to celebrate Godzilla: King Of The Monsters. 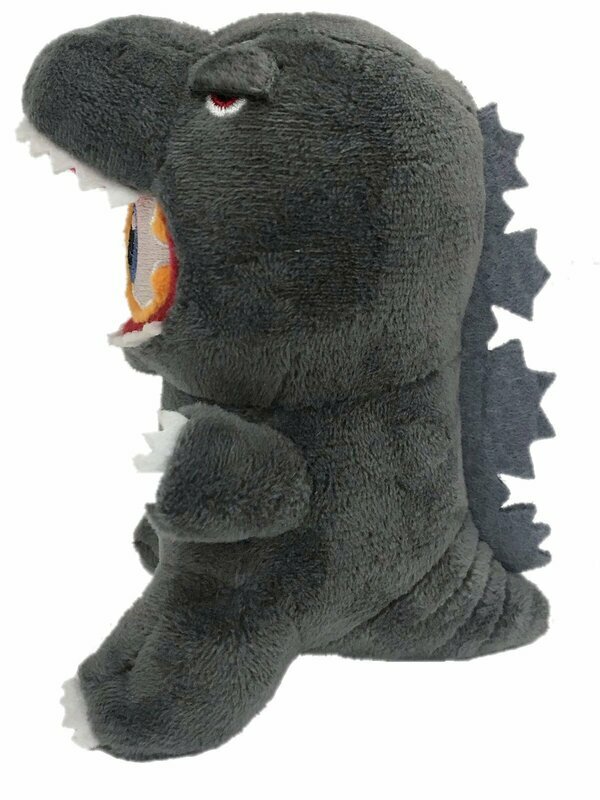 The game against the Hanshin Tigers will feature a giveaway of a plush Giabbit as Godzilla (Giants mascot). 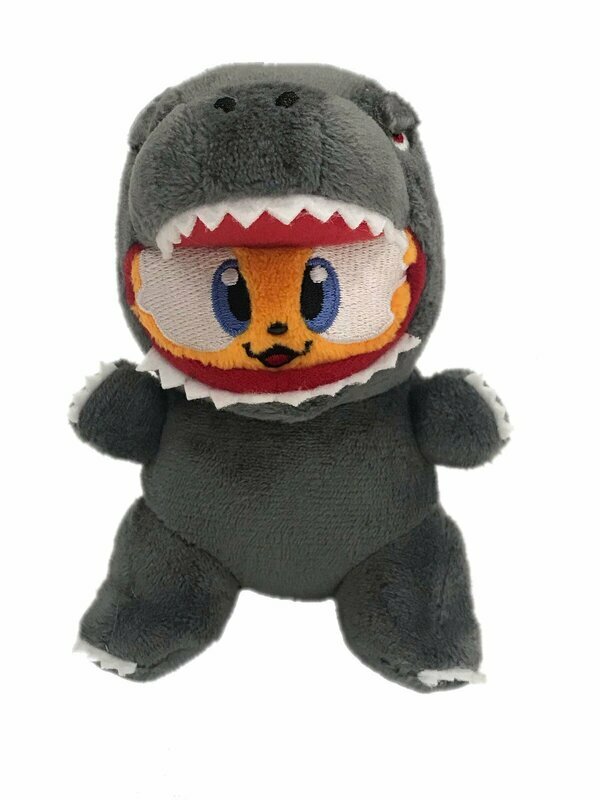 There will be other goods available for purchase at the game as well as the Godzilla: King Of The Monsters statue (Gate 22), Godzilla and Chibi Godzilla costume characters (on the concourse, and field before the game), and special "images" on the Aurora Vision screen during the game. 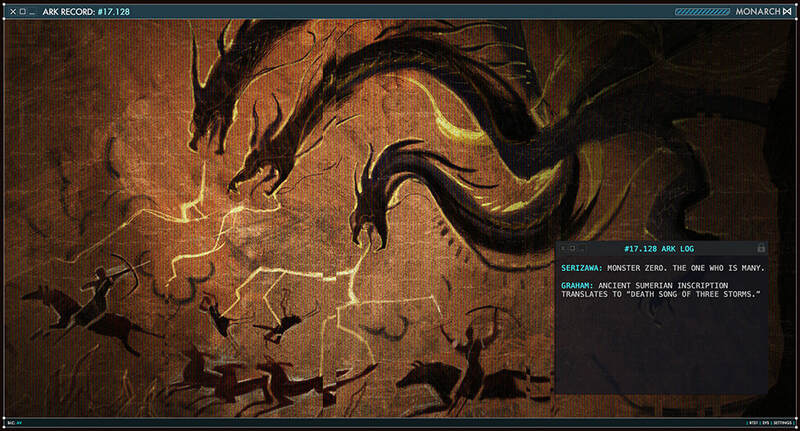 The Giants also plan other events as well. 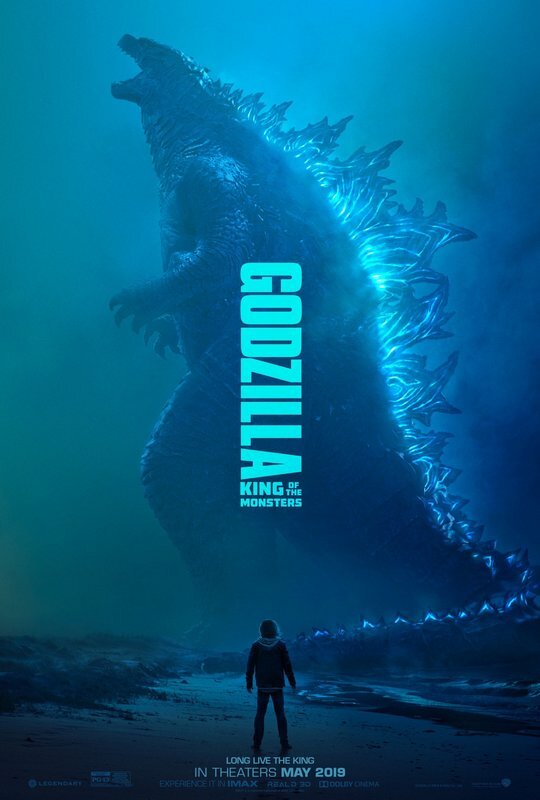 Check out the new poster above and the trailer below, May can't come fast enough. 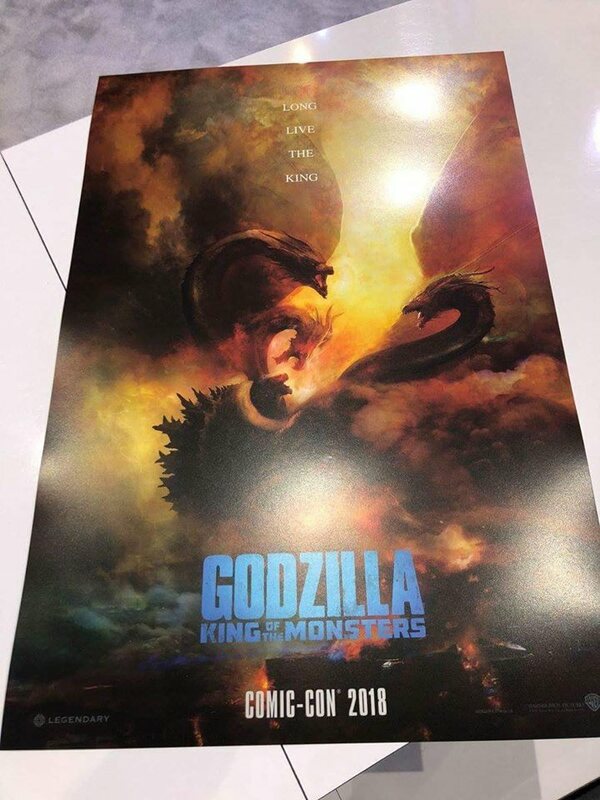 Update: character posters added for the other monsters. 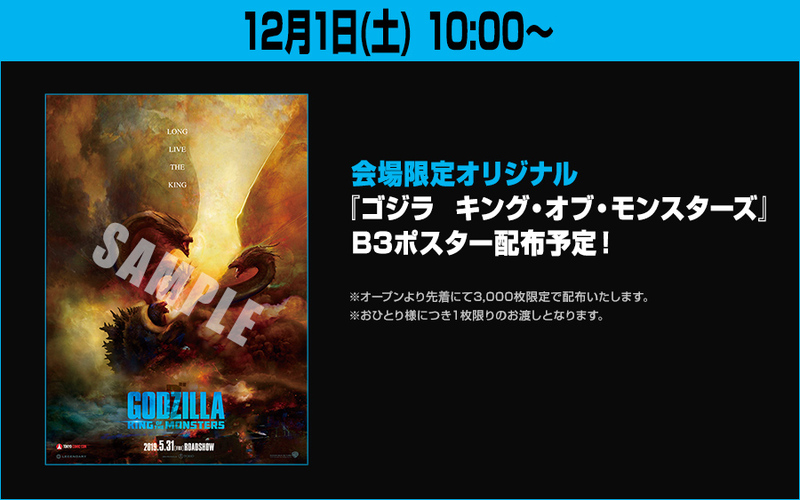 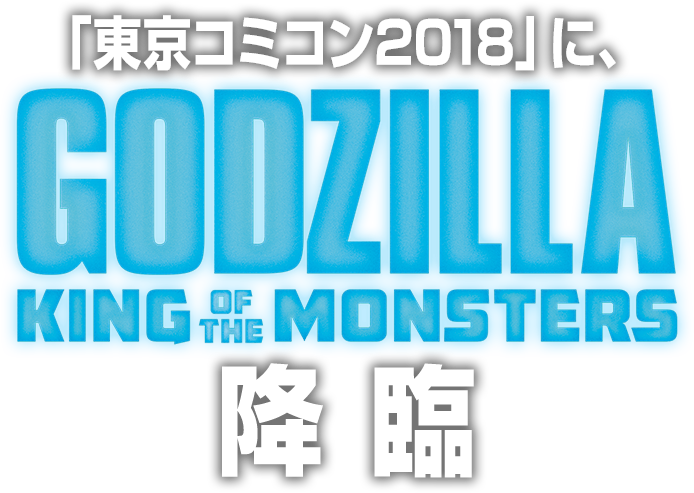 We posted on our Facebook page that there will be something pertaining to Godzilla: King Of The Monsters at Tokyo Comic Con, we are getting more info on this. 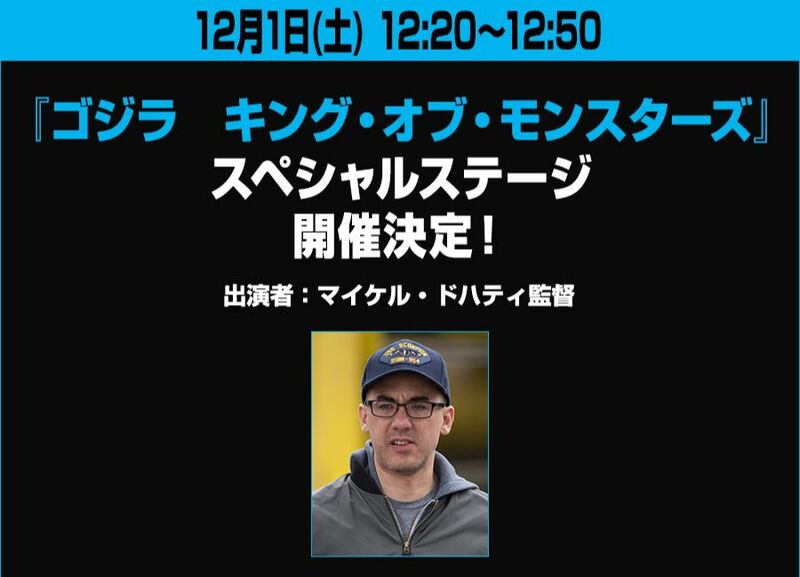 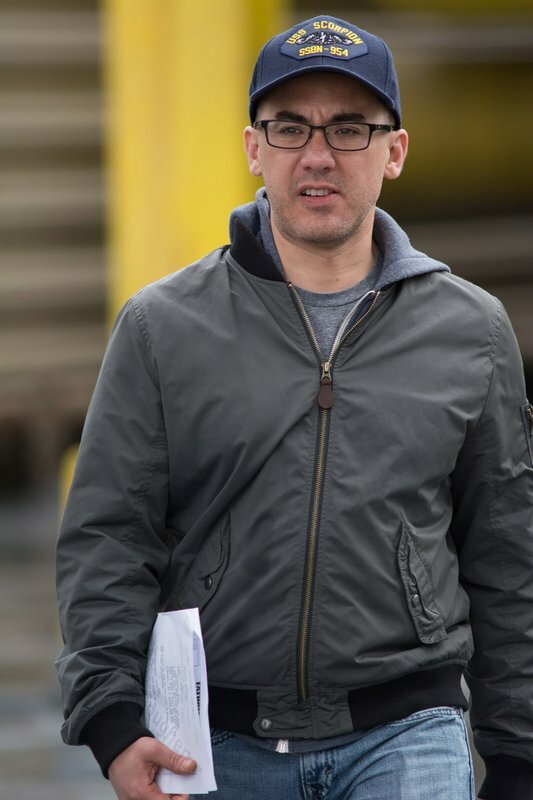 There will be a stage presentation on Saturday Dec 1st at 12:20 with guests, Michael Dougherty and possible others, and possibly a new trailer. 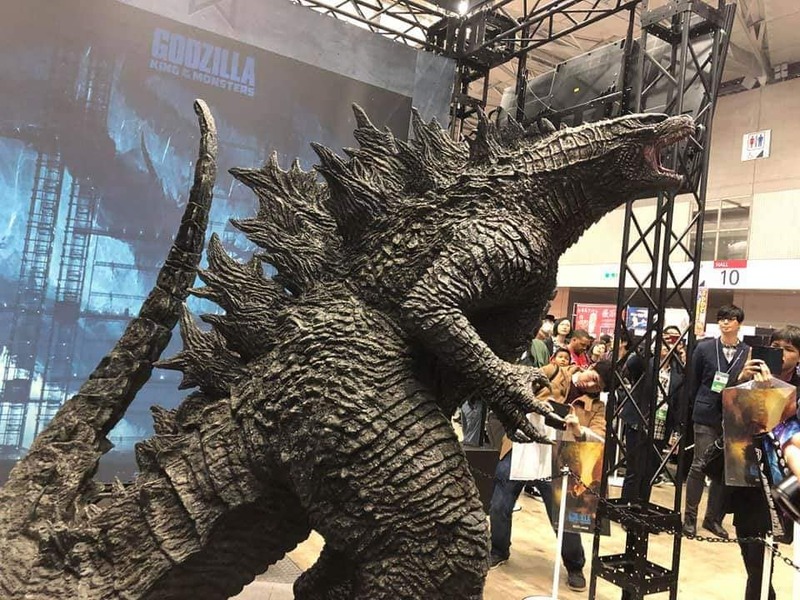 There will be a 2 meter tall statue that will be revealed at the panel. 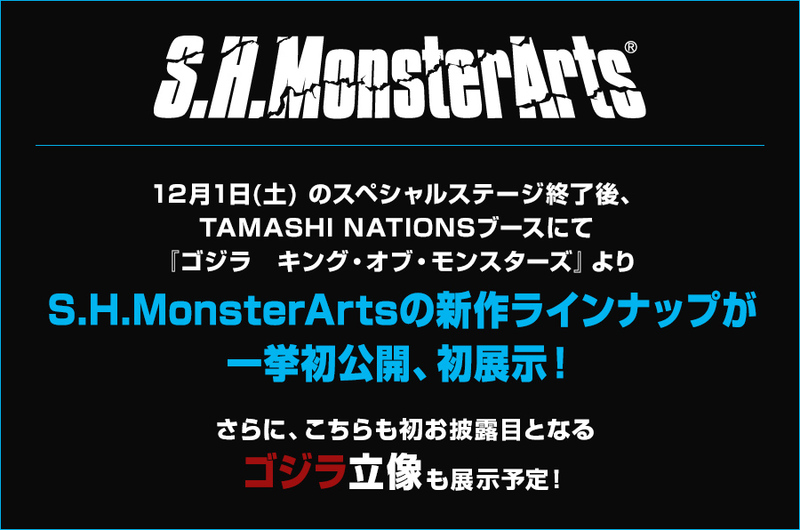 Also announced is something from Tamashii's S.H. 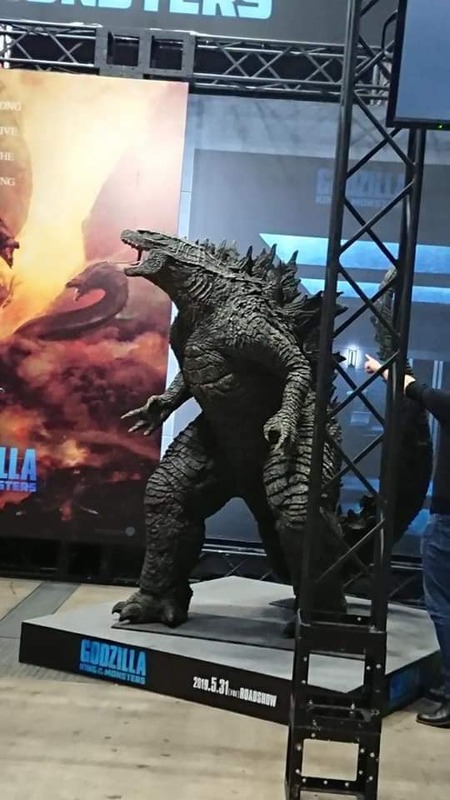 MonsterArts, a possible reveal or maybe just a tease, the figure is a Yuji Sakai design and will stand 16cm tall. 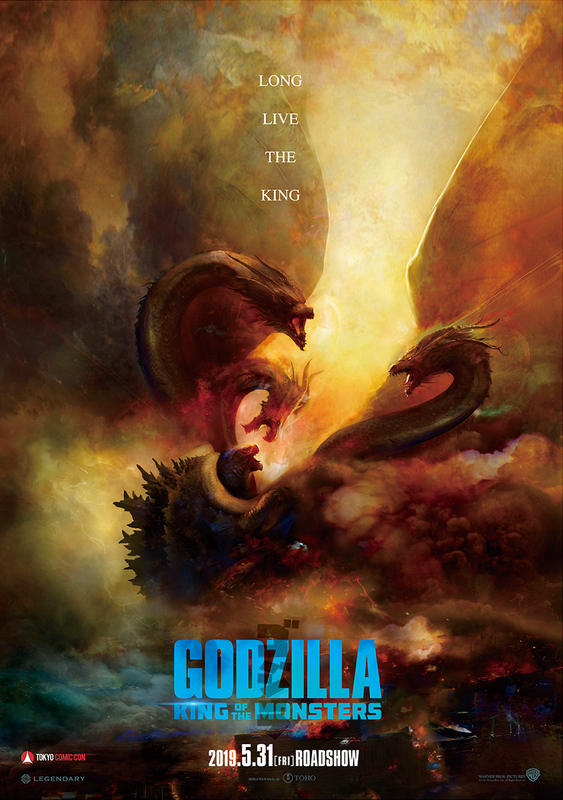 There will also be a poster giveaway (same poster image as SDCC, image below) which is limited to 3,000. 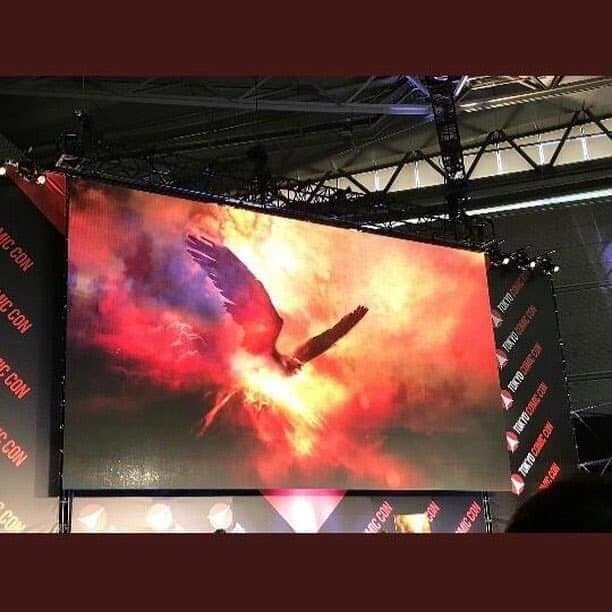 While many of the details are still vague there has been enough teases that we should definitely get something. 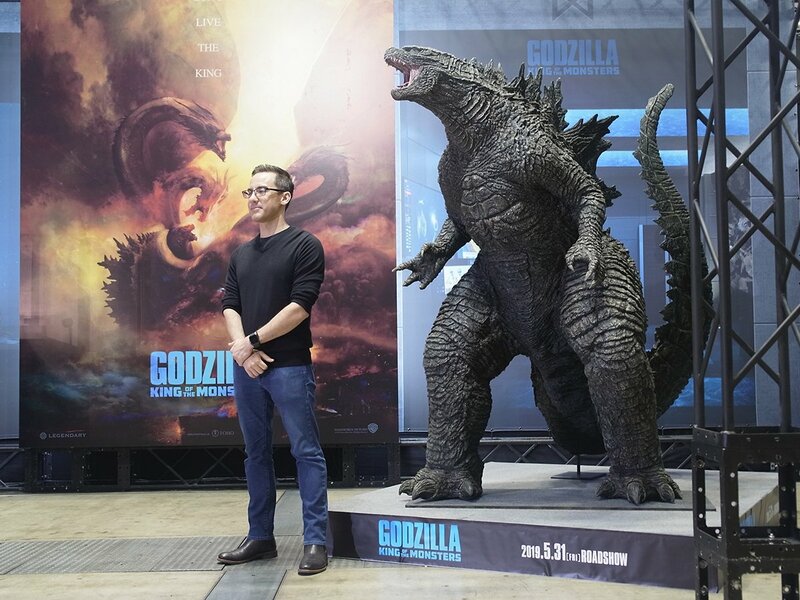 The official Godzilla Twitter page has also posted a new film screenshot (and a better pic of Dougherty), also posted below. 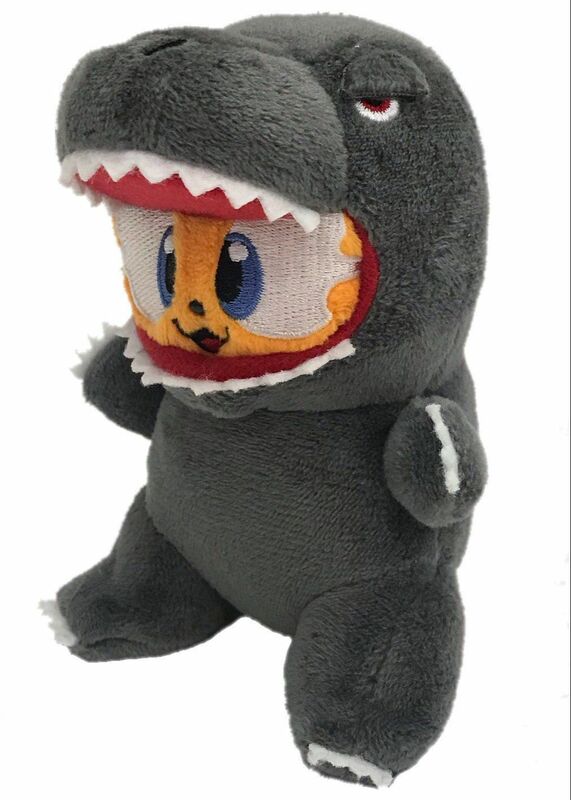 Also of note there was a post by another site that NECA would reveal something but the post was pulled, NECA than said it didn't know of anything (via Twitter). 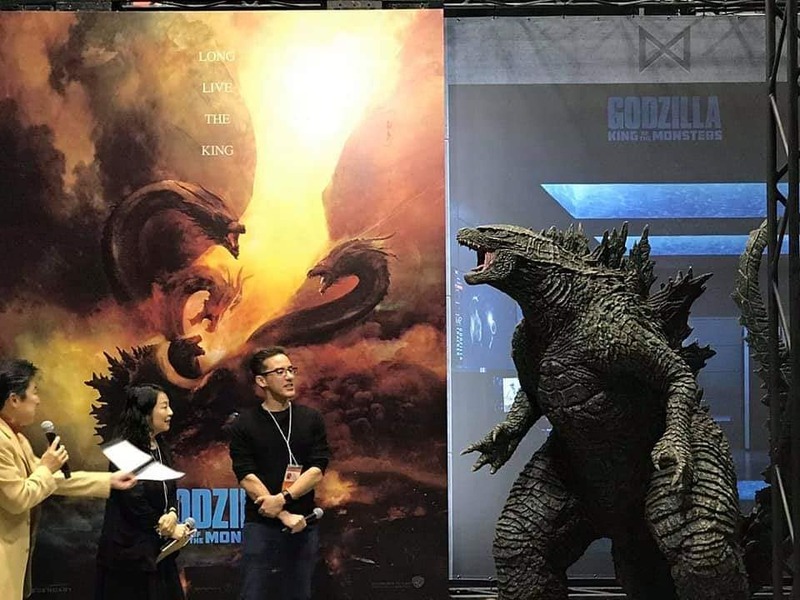 But oddly NECA seemed to back track themselves and hinted at a teaser but no full reveal till they would be allowed by Warner/Legendary/Toho. 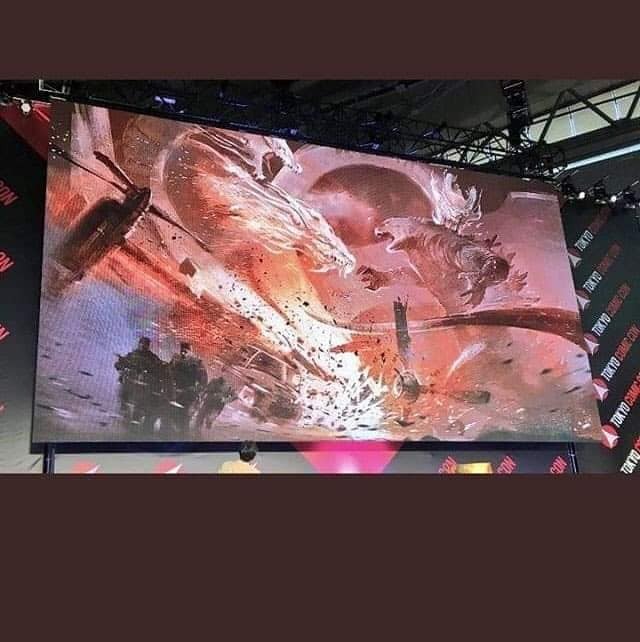 More info on all this as we get it. 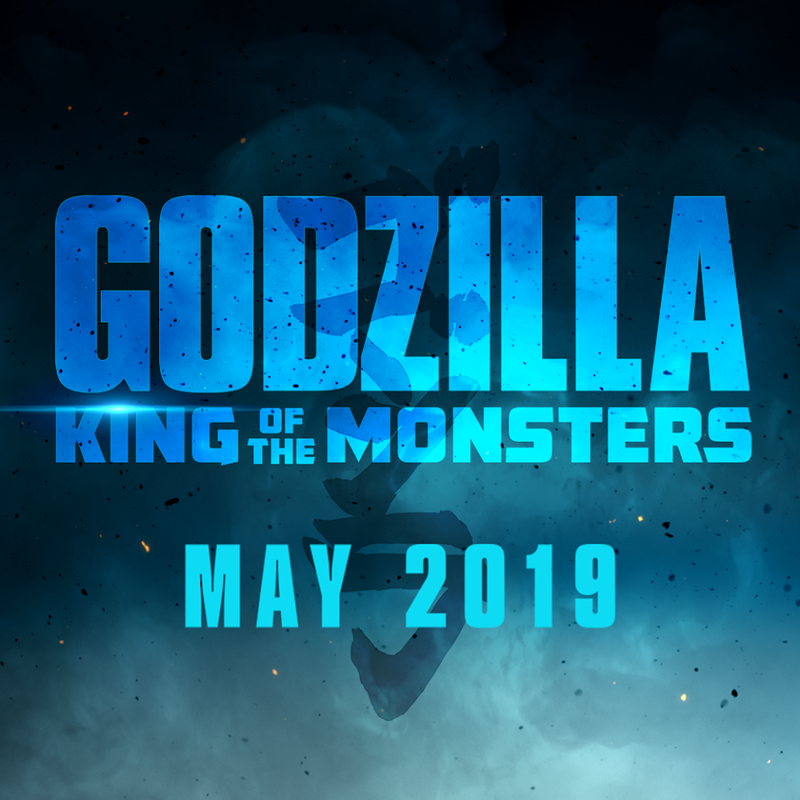 The Godzilla King Of The Monster hype train has started both the Godzilla official website has been updated as well as the Monarch Sciences website. 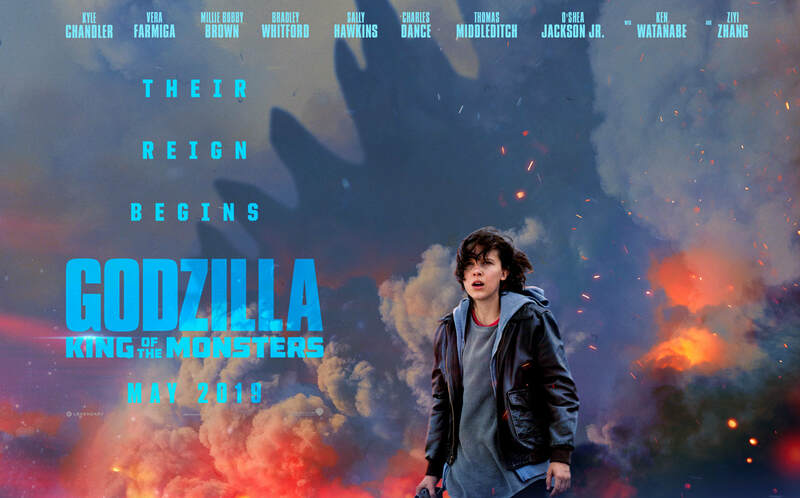 While the regular website doesn't have much yet the Monarch Sciences does, it includes profiles of the monsters, some images as well as a Godzilla tracker. 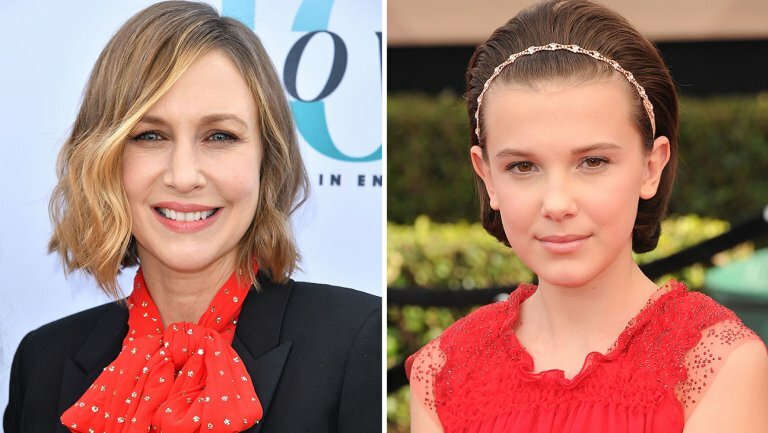 There was also a teaser posted on Millie Bobby Brown's Instagram page. 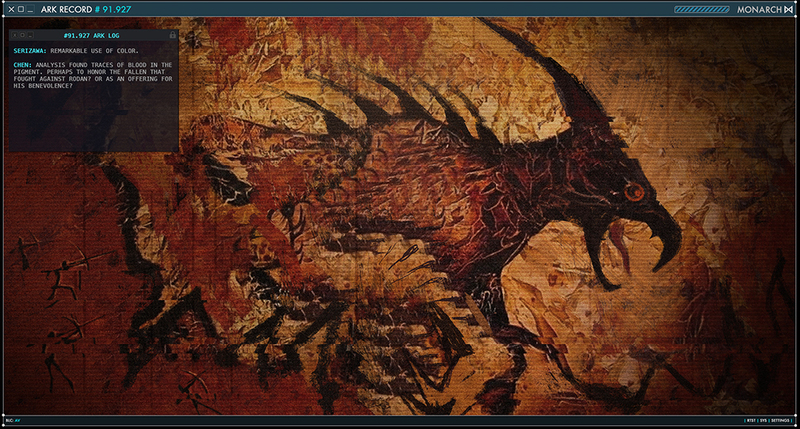 Check out some of the details below. 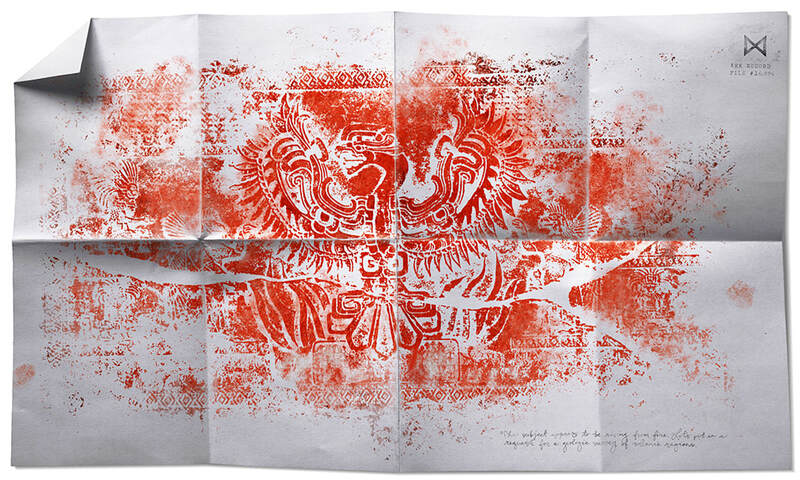 ​At a Monarch containment facility deep in the frozen tundra of Antarctica, a three-headed winged serpent of ancient yet unknown origin lies frozen within a glacial tomb of ice. 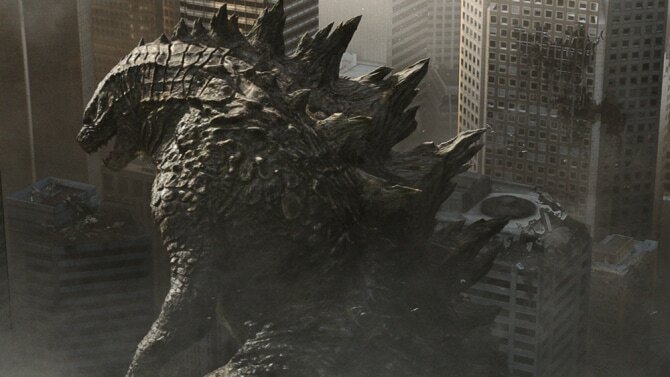 This is without question the largest superspecies ever discovered, easily dwarfing Godzilla at a height of over five-hundred feet tall. 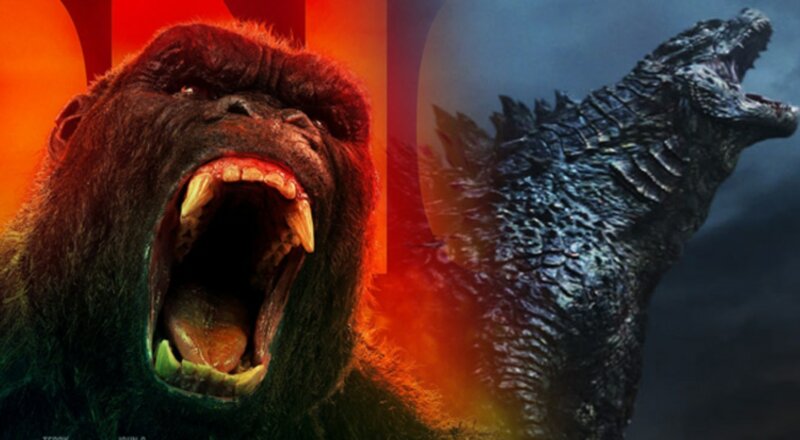 ​Cranial scans reveal a divergent frontal lobe density in the brains of the three heads, denoting each head has disparate levels of cognitive functions, and possibly even independent thought. 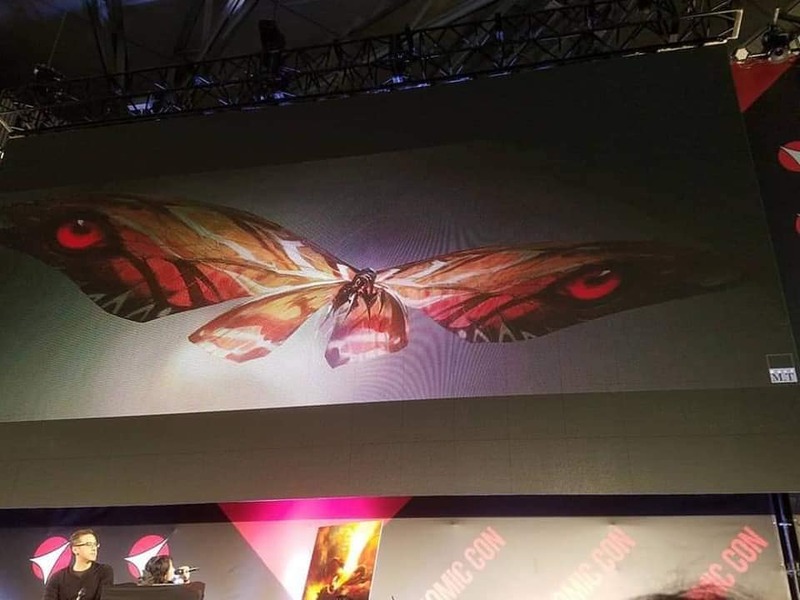 Muscle tendons on the wings are so hyper-tensile that their massive aerodynamics could generate hurricane-force winds when in flight. 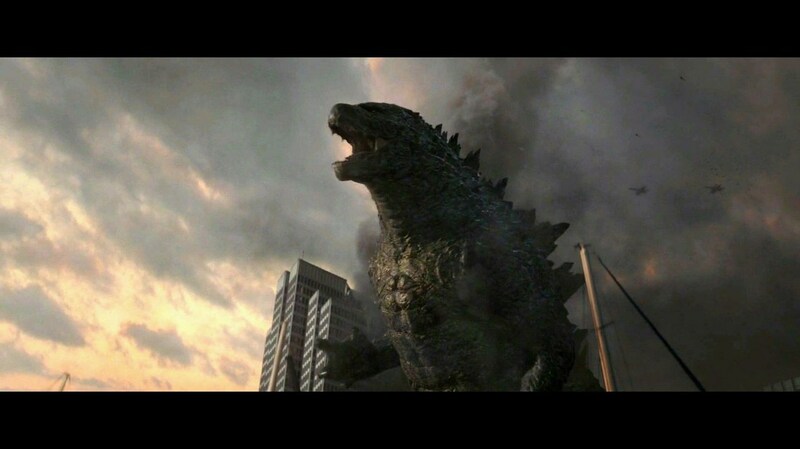 Coupled with its body’s electro-receptor molecular biology capable of conducting electrical currents, water vapor in the air would be heated at extreme levels creating its own localized storm system as it travels. 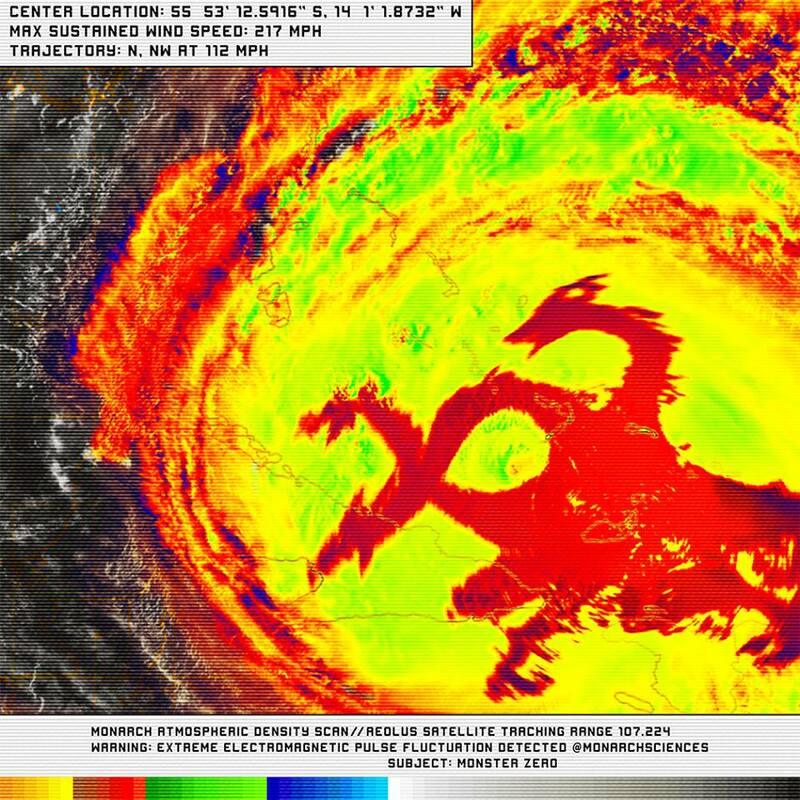 Simply put, if Monster Zero were to fly again, the stratosphere would be torn open by an otherworldly tempest of thunder and lightning our sky has never seen. 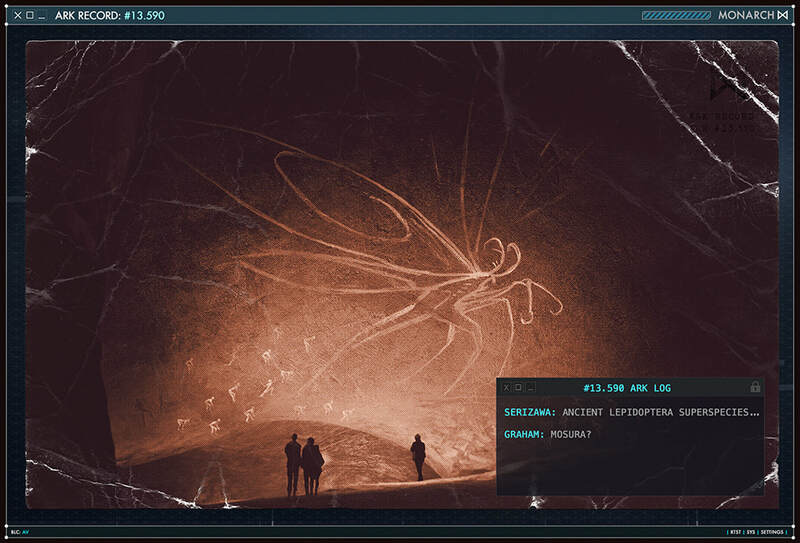 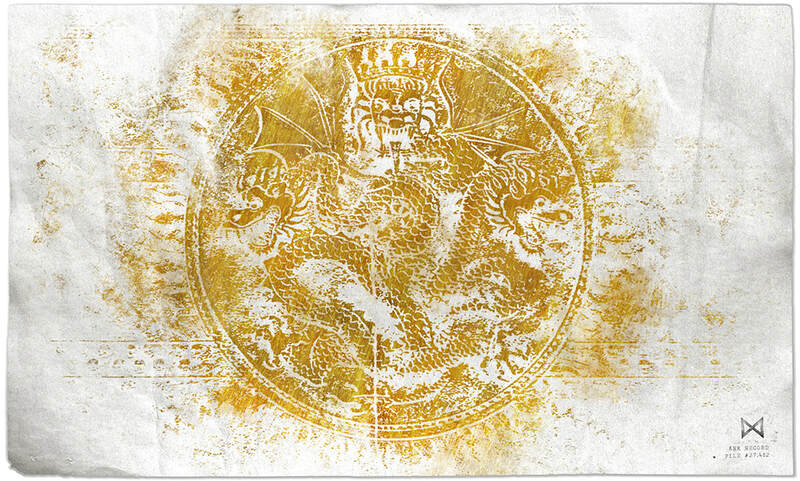 Cryptolinguistics has analyzed translations of every worldwide case study of Monster Zero in the Monarch database across tens of thousands of years. 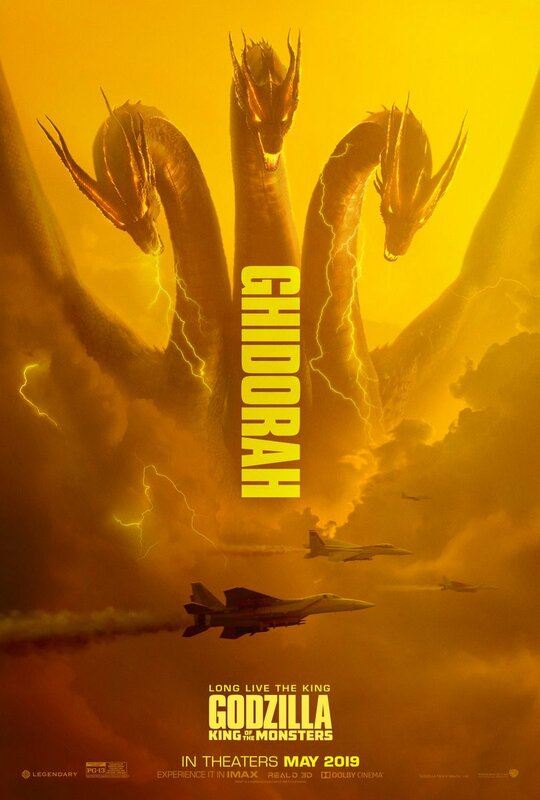 The ancients called it Ghidorah. 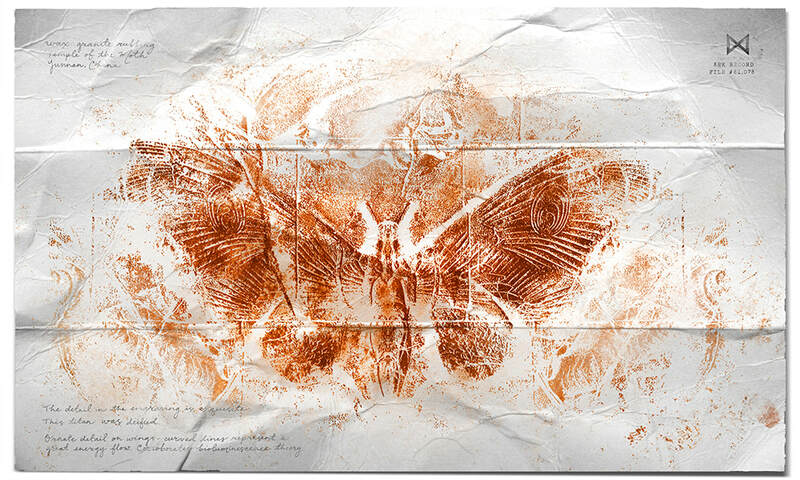 ​Ancient spirit tablets discovered in the mountain jungles of the Yunnan Province portray a giant winged alpha of the Lepidoptera order. 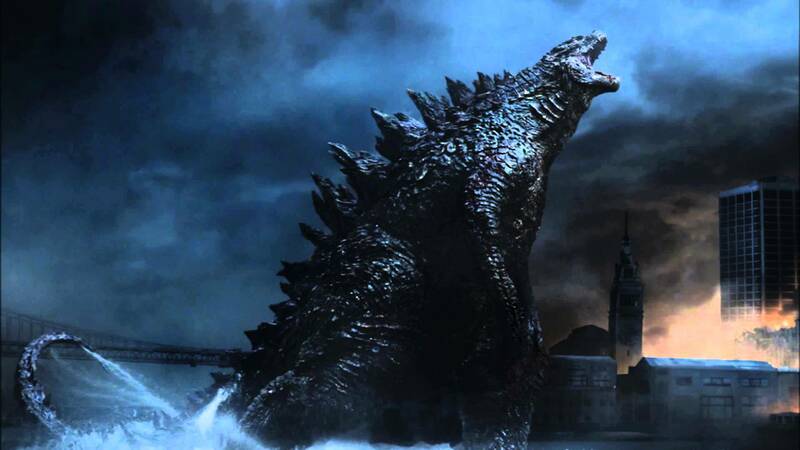 In all of our findings, human civilization is pictographically shown in poses that imply deification of the so-called “Queen of the Monsters”, suggesting the creature was once a benign part of the natural order. 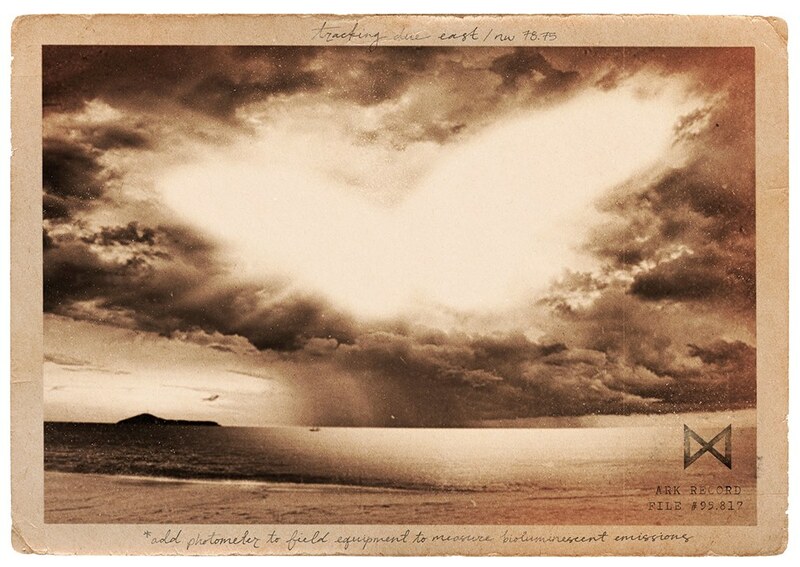 As one of the deadliest and most beautiful natural phenomena in Earth’s history, no wonder this devastating guardian angel was worshipped as a goddess by the ancient human civilizations blessed to witness her. 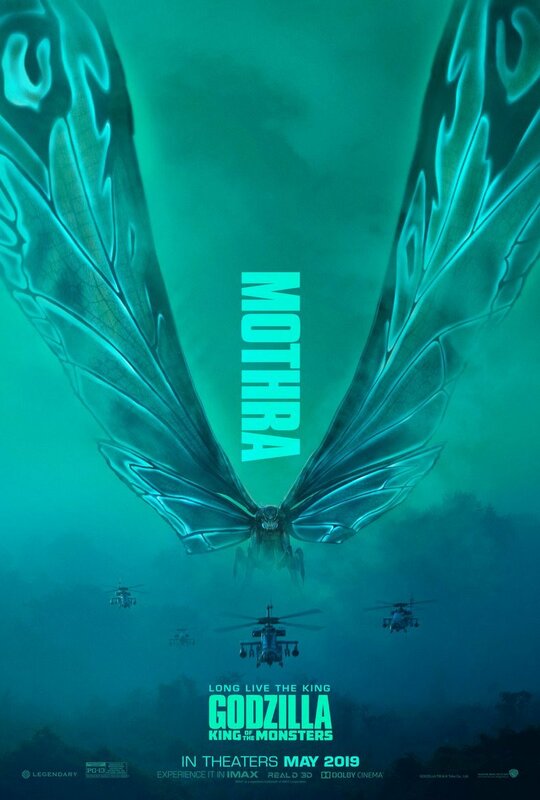 "THE TEMPLE OF THE MOTH"
​Because of the extreme temperatures within this particular containment facility, current lab equipment can’t function properly. 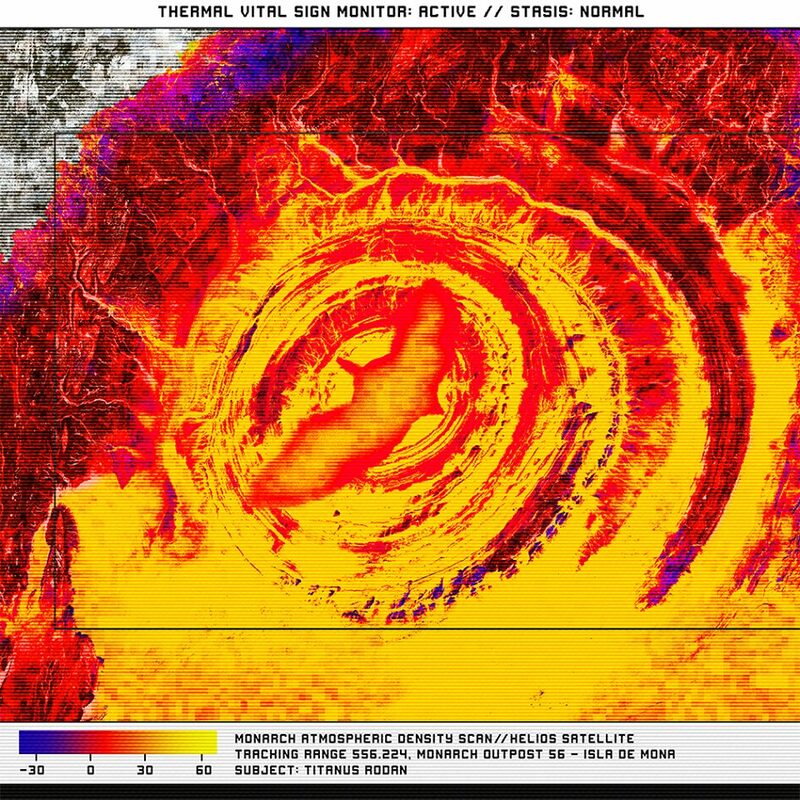 As a result, thermal heat signatures on the creature are impossible to collect, and Monarch detection crews conducted cardiograms via aerial satellite for life sign detection and verification. 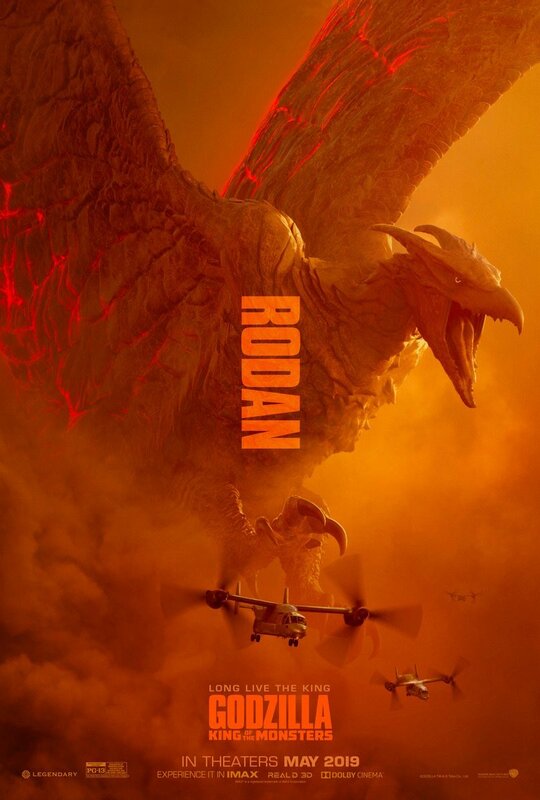 Much like the volcano that incubates it, Rodan is alive but dormant.